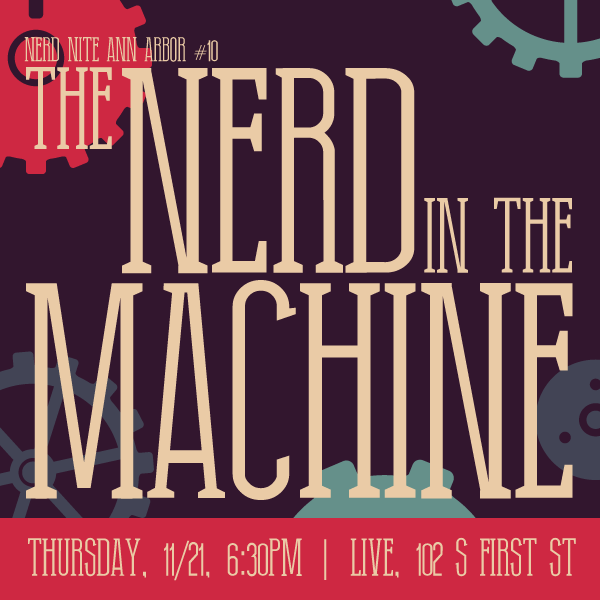 When: November 21st, 2013, doors at 630pm, talks at 7pm! and draw 120 amps. These aren’t roombas! This talk will give an insider’s view into a build and competition season. Kaleb is a student at Skyline High School and a member of Eagle Imperium Team 3322 http://www.skylinerobotics.org/. Ken is a software engineer at Atomic Object in Ann Arbor and a FIRST Robotics mentor. They’ve been with the team for 2 years. When not working on robots, their passions include cooking, anime, reading and board gaming. Well Kaleb anyways–Ken’s pretty much obsessed with robots. I discovered a very cool tool called Construct 2 (made by a company called Scirra) which allows you to easily create compelling games. You simply add backgrounds and sprites on a page, and use an “event sheet” of simple if-then statements to define your game logic. The game can then be exported as an iOS, Android, Windows Store, or Windows Phone app. There are also templates/tutorials to get you started creating a shooter game, physics puzzle, driving game, and platform game (like Super Mario Brothers). I’ll demo how easy and fun this is! All nerds will leave knowing the fundamentals to build a wicked cool game. Jennifer Marsman is a Principal Developer Evangelist in Microsoft’s Developer and Platform Evangelism group, where she educates developers on Microsoft’s new technologies. Jennifer is a frequent speaker at software development conferences across the United States. 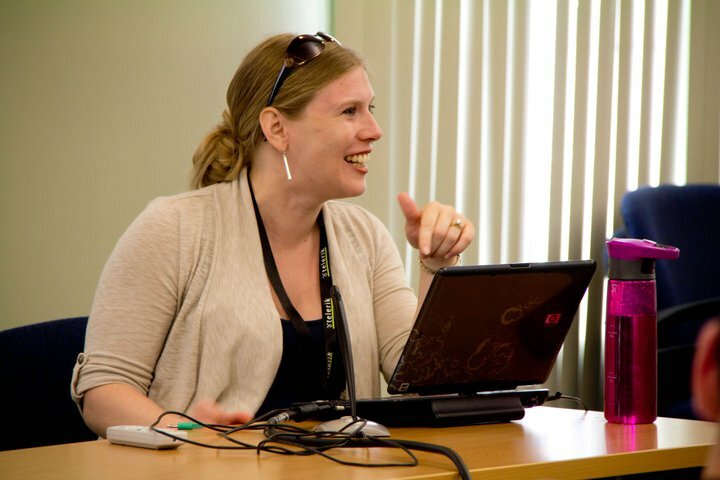 In 2009, Jennifer was chosen as “Techie whose innovation will have the biggest impact” by X-OLOGY for her work with GiveCamps, a weekend-long event where developers code for charity. Prior to this role, Jennifer was a software developer in Microsoft’s Natural Interactive Services division, where she earned two patents for her work in search and data mining algorithms. Jennifer holds a BSE in Computer Engineering and MSE in Computer Science and Engineering from the University of Michigan in Ann Arbor. Her graduate work specialized in artificial intelligence and computational theory. Jennifer blogs at http://blogs.msdn.com/jennifer and tweets at http://twitter.com/jennifermarsman. The communist utopia experiments of the 20th century did not go as well as planned. Often the failures were horrific. The rest of the time they were horrific and pure comedy gold. 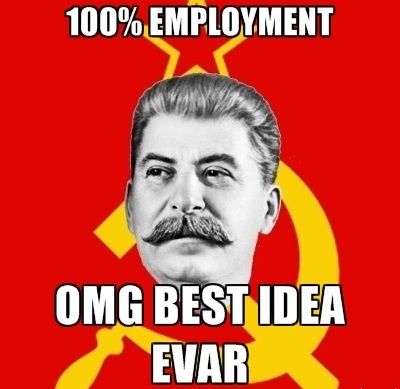 In this presentation, we’ll be covering 10 of the funniest and most ludicrous goofs, fuckups, and fails by communist dictatorships from all over the world. Fun is mandatory. All surplus popcorn will be confiscated. Insufficient applause at the end will be regarded as anti-revolutionary. Marcus is an Ann Arbor native and has undergraduate degrees in US and Chinese history. He writes jokes on the internet pseudonymously. The Canadian border police have made it clear that he is no longer welcome in that country. He is totally unqualified to speak on any topic at any event, but hey, he works for free.